I caught the first Viathyn album, The Peregrine Way, about four years, and found it to be quite impressive progressive power metal. Then I thought the band basically dropped off the map, as merely a one-off project. 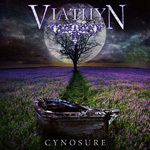 But appears Viathyn has been busy, working the last two years creating Cynosure. I'd like to say that I can remember much from the first album. But that was four years ago and since then I've listen to better than fifteen hundred albums. What I do recall is that most songs were a platform for Jacob Wright's sterling neoclassical guitar work. In this sense, nothing much has changed. Wright's work continues to abound, astound, and mostly entertain the ear. To be fair, and he likely had some parts on the previous album, vocalist and second guitar Tomislav Crnkovic has a few solos as well. These guitar licks are then wrapped up in quite expansive and mildly technical arrangements, where tempo is most often the shifting element. The pace is rapid in Ageless Stranger and Edward Mordrake by example, with Wright's leads firing on all cylinders as well. It times it might remind you a something a few gears lower than and one guitar short of Dragonforce. Other songs mix up the pace quite well, even offering mellow segues at times, like The Coachman and Countess Discordia. Something more traditional, almost reminding of Iron Maiden on crack, is Three Sheets to the Wind, a metal anthem with more strong guitar work and some humorous lyrics. There are other novelties here. The first, and real kicker, comes from the addition of new bassist Alex Kot who performs on a NS Chapman Stick. Whether he uses the Stick on every song is on clear, but he offers solos on The Coachman and Cynosure. At the start of Countess of Discordia, I'm sure that's a flurry from Kot as well. You have to listen carefully because a skill Stickman can make that instrument ring like traditional lead guitar. The second novelty, in the most banal sense, is the inclusion of death growls on five songs from Divinity vocalist Sean Jenkins. The good news, excepting one song, they're basically reduced to insignificant background additions. Then the question becomes, 'So what was the point then anyway?' Send Jenkins packing. 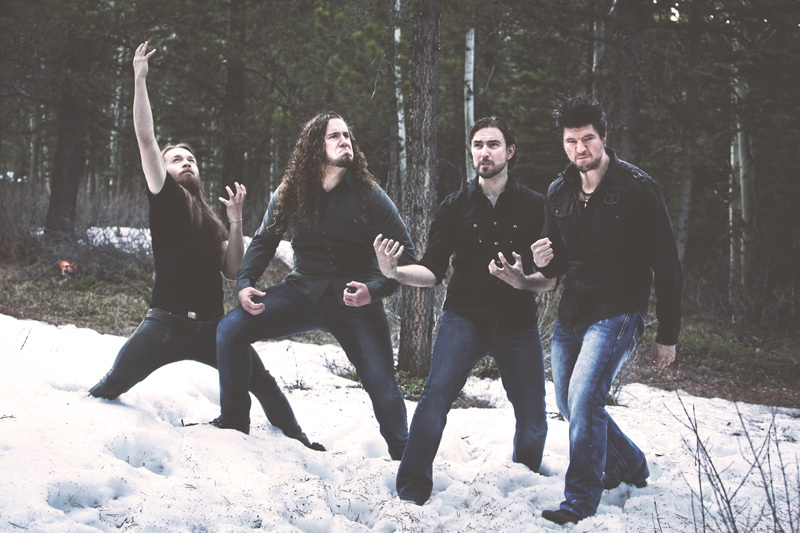 Bottom line: Cynosure is definitely equal to their prior work, if not a large and strong step forward for the band. Quite recommended. 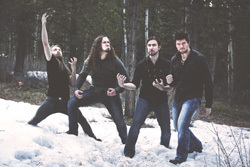 With Cynosure, Canada's Viathyn has strengthened their already impressive neoclassical guitar driven progressive power metal.